WHAT IS THE CE MARKING, AND WHAT IS ITS PURPOSE? WHAT IS THE EU's NEW APPROACH TO PRODUCT CERTIFICATION? WHICH PRODUCT GROUPS ARE COVERED BY THE NEW APPROACH DIRECTIVES? CAN U.S. COMPANIES SELF-CERTIFY FOR THE CE MARKING? UNDER WHAT CONDITIONS ARE U.S. COMPANIES UNABLE TO SELF-CERTIFY FOR THE CE MARKING? WHAT IS THE SIGNIFICANT IMPACT OF THE NEW RADIO AND TELECOMMUNICATIONS TERMINAL (R&TTE) DIRECTIVE? WHAT HAVE THE EUROPEANS DONE TO ENFORCE THE CE MARKING REQUIREMENTS AND WHAT ARE THE PENALTIES FOR NON-COMPLIANCE? ONCE A U.S. COMPANY HAS CERTIFIED ITS PRODUCT WITH THE CE MARKING, IS ITS WORK DONE? IS ISO 9000 REQUIRED IN ORDER TO GET THE CE MARKING? HOW DO EUROPEAN STANDARDS RELATE TO THE CE MARKING? WHAT IS THE ADVANTAGE OF USING EUROPEAN STANDARDS? My importer informed me that products being exported to Turkey require CE marking - is that true? My importer informed me that I need a Certificate of Conformity issued by a Notified Body/Laboratory, is this true? I supplied a corporate certificate of conformity with my shipping documents, why are my goods still detained at Turkish Customs? Why does the Turkish Customs Authority not accept my Notified Body issued Certificate(s) of Conformity? I have been selling to the European Union without CE marking, why am I required to have CE marking for Turkey? My importer informs me that my CE marked product would need to be inspected by the Turkish Standards Institute-is this true? 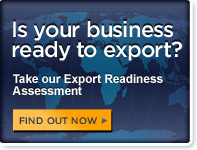 Despite my CE marking why does my importer ask for an A.TR-1 Certificate? What is the A.TR-1-Certificate? Do Turkish manufacturers need to confirm conformity of the EU New Approach (CE) Directives? Who can I call on if I have a standards problem in Turkey?